Imagine your app with all of your content - just like your members would expect. No other app provider can offer you the depth and breadth of content accessibility like we can. Your listeners and viewers will be able to access your station wherever they are, whenever they want. 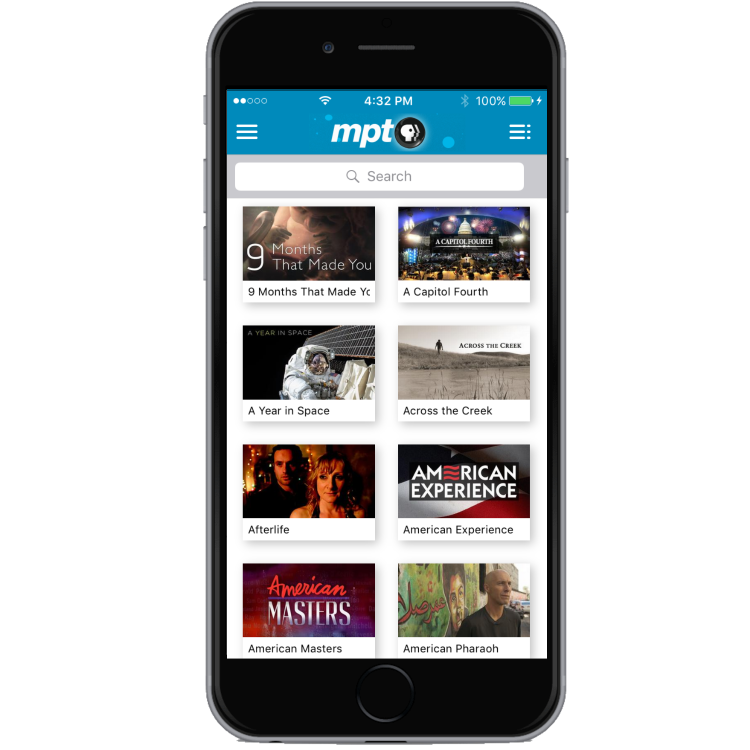 Local, National, Networks, Members Only (Passport) and Independent content at their fingertips-anytime. We spent four years making on-demand a reality for your station. We do all the work to make sure that your app can make all your programs available on-demand. Our metrics show that on-demand is the fastest growing segment of listening and watching. And most importantly, it's all incremental to live listening and watching. 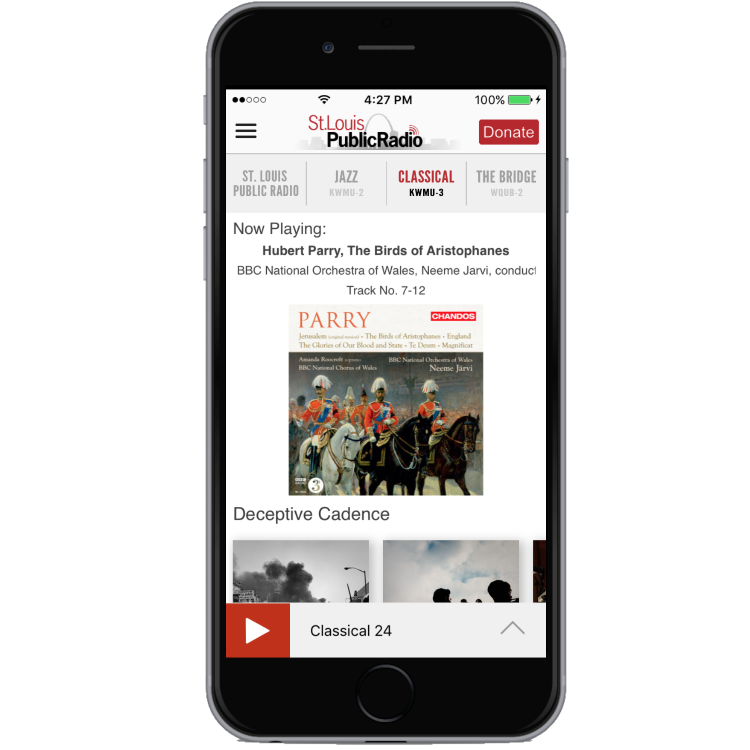 For music format radio stations and joint licensees, Public Media Apps support receiving song data through ID3 tags and other transmission types. With song data, album art can be retrieved so your users can see what's playing right now in its full glory. And wherever your playlists are archived, we'll make them available to be reviewed anytime.